How did President Reagan Deal with Violent Radicals In His Own Party? Jeffrey Kaplan has written extensively about both the rescue movement and the radical right. His latest book is Apocalypse, Revolution and Terrorism: From the Sicari to the American Revolt Against the Modern World. He currently teaches Intelligence and National Security at the King Fahd Security College in Riyadh, Saudi Arabia. President Trump’s reaction to the tragedy in New Zealand was very much in line with his take on Charlottesville—a wink and a nod accompanied by a few ambiguous platitudes. That Brendan Tarrant, the terrorist who perpetrated the massacre, would explicitly acknowledge Trump as a “symbol of White identity and common purpose” comes as little surprise. After all, Trump the candidate urged supporters to beat demonstrators in his rallies. The violent participation of explicitly neo-Nazi groups like the Rise Above Movement at pro-Trump rallies around the country has also been met with a conspicuous silence from the White House as has the rise of racist violence globally. Scholars of terrorism have long understood that there is a connection between the perception that national leaders condone or tacitly support violence and the decision of perpetrators to move from dreams of slaughter to the reality of cold blooded murder on the grandest possible scale. The tragedy in New Zealand and the series of church and synagogue shootings here bring to mind an earlier day and a very different president. 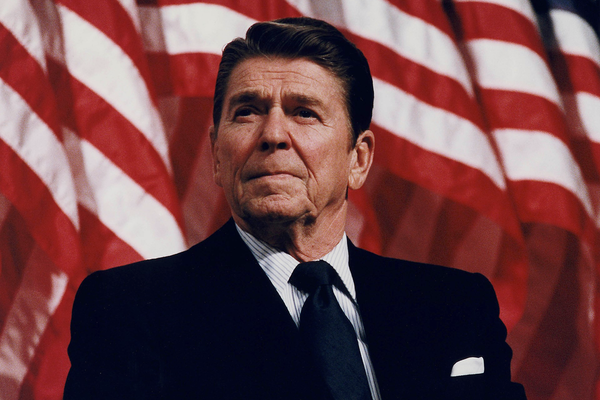 In the 1980s, President Ronald Reagan entered the White House as the first explicitly pro-life president. To the rescue movement, the radical fringe of the pro-life community, the news was electric, and to some, a sign of Divine grace. Until then, the deeply religious rescue movement had followed Operation Rescue—the first national rescue organization led by Randal Terry—in pledging non-violence at clinic level demonstrations. From the staid confines of the annual White Rose Banquet to the increasingly acrimonious confrontations at abortion clinics, the talk was of the new President and how he was with them, even if he could not say so openly. The rescue movement soon became bolder, holding massive demonstrations in cities across the country. Violent confrontations with police soon followed and the movement’s faithful—white, middle and working class churchgoers all—became acquainted with the realities of urban jails and the less than gentle ways police maintained order in many of these lockups. Newer and more militant groups soon emerged with names like the Lambs of Christ and Missionaries to the Preborn. At the same time, demonstrations gave way to attacks, first on property as clinics were firebombed or rendered inoperable with chemicals like butyric acid poured through locks and keyholes. The violence turned deadly with the murder of Dr. David Gunn in Pensacola, Florida in 1993. Other killings followed. In my interviews with members of the rescue movement and doing fieldwork at clinic level demonstrations, it became clear that the turn to lethal violence reflected a disillusionment with America, which many protesters had came to identify with Nazi Germany based on abortion statistics and the perceived support of the nation’s leadership for the rule of law over that of conscience. The rescue movement could understand the political necessity of issuing statements against abortion violence, but unleashing the federal government against the movement sent a clear signal that violations of the law would not be tolerated. The federal effort was eventually successful in crushing the rescue movement when the Justice Department under the Clinton Administration used RICO statutes [Racketeer influenced and Corrupt Organizations law that had been designed for the Mafia] to effectively drive rescuers from the streets. By contrast, under President Trump the rule of law is useful only when he deems it personally convenient. Given his actions aimed at bringing the rescue movement to heel, it is safe to assume that President Reagan would never have tolerated either the extremists at Trump Rallies or the Alt-Right extremists who perpetrate violence. Nor would President Reagan have had the slightest hesitation to express both sympathy and empathy to for the Muslim victims of the murders in Christchurch. In the end, what is left is the methodical workings of the law and the election cycle. Many years ago, the great historian Arthur Schlesinger noted the cyclical nature of American politics. The country goes through phases of activism which unleashes populist and leftist extremes and retrenchment which produces a tentative unity and a period of economic acquisitiveness. Recent election results have brought a Democratic majority with an investigative fervor to Congress. Trump policies from the border wall to the withdrawal from Syria are being increasingly challenged by both parties. Moreover, the second Unite the Right in August 2018 rally fizzled amid a wave of disgust for what occurred in Charlottesville. Two dozen marchers turned up, only to be dwarfed by hundreds of counter-demonstrators and a strong police presence. All signs point to the wisdom of Schlesinger’s observations. Americans may for a time be entranced by the bromides of the populists or the voices of racism and division, but it soon passes and a twenty-first century version of Reagan’s ‘Morning in America’ will invariably follow.